Deptford Film Festival is a bi-monthly international film festival based in Deptford South London, at the community cinema Deptford Cinema. The festival aims to provide a platform for all types of short form film, with a nominated genre for every event to rotate annually. The first screening kicks of with a selection of off beat horror shorts from an exciting team of up and coming directors. Attendance to the festival is part of the point, and to provide the maximum amount of participation filmmakers are encouraged to attend the events for Q&As for their films if selected. There will also be attached networking events for the filmmakers to mingle. Female-driven horror/dark comedy about an annual cherry pie contest in a small town where one - or more - of the contestants is a murderer. A post human future where bodies become vessels embodying technology, we voyage with a woman coming to truths with herself, learning the hard way to rebuild her life independently. A nightmarish trip through our collection of old horror films. Multiple exposure on 16mm film, hand processed and worked over with a thin brush and sulfuric acid. Soundtrack by Clay Gold. Far out in the depths of space, the crew of a commercial space shuttle are docked at an oxygen deprived gas station, refuelling the ship en route to their destination. The crew, following orders, must stay inside the designated area whilst the ship is fuelling, or risk a gruesome end. Sandra has made a terrible mistake. Avoiding to deal with it, she begins to realize how you can only bottle things up inside for so long until they break out and reach the surface. Paranoia sets in. Seeing your future self die will do that. 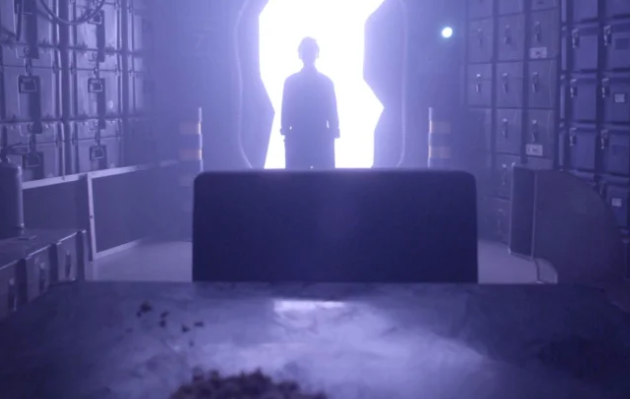 Don’t is a razor sharp sci-fi horror micro short in a similar vein to the low budget master piece Primer. Sometimes a little information is worse than having none at all, as this hapless time traveler discovers. A desolate stretch of forest-surrounded road, covered in abandoned vehicles, becomes home to a mysterious thousand-legged creature that hunts those that drive up to the winding terrain. . In the middle of the night, a group of teenagers practice skateboarding without noticing that somebody is watching them from the shadows. One of the girls separates from the group to return home through the lonely streets of the city and someone follows her. A story of love lost and what some willing to do to get it back. This beautifully shot horror thriller riffs on a classic tale of love and jealousy with a twist. Visually stunning, it packs a satisfying punch. Negative images invert memories. A female photographer makes a disturbing discovery and counts the cost of her own fears. Possibly the worlds first ever scrabble horror film. When scrabble grand master Hank starts to crack under the pressure of his biggest match ever, things start to get a little… weird. Alex is a business man who works in an important multinational. He is demanded to do several business trips around the world. In one of them, he feels the loneliness and anxiety when he wakes up in a hotel in the middle of a nightmare and he realizes that it hasn't finished but it has just started. True crime scene cleaners come across something sinister. Three destitute pilgrims experience a strange night in the old Jewish cemetery in Zefat, when they are possessed by souls from the 16th century. This quirky animated horror mixes live action with beautifully drawn animation. Sometimes you wont realise your worst dreams until they come true. In this innovative low budget horror, Jake Unsworth proves without a doubt that kids are way creepier than adults. Dawn breaks. A baby’s cry breaks the silence or the crisp morning air. Working with a simple premise with primal origins, this thriller horror toys with perhaps one of the most human fears imaginable. A man moves away from his house to get his own space finally, what could possibly go wrong? Using the classic home alone horror trope, this horror short taps into one of the most common fears in the modern age, no wifi. No not that, just watch it and you’ll see.